Bravo Super Probiotic Concentrate contains essential and essential probiotic complex with colostrum and cows milk to support healthy gut function and digestion. Each bottle contains 30 capsules of Bravo concentrated yogurt. Suggested serving size is 1 capsule per day. One capsule of the concentrated Bravo yogurt provides most of the same benefits as 1/2 daily adult dose of Bravo Yogurt. Contains no sugar, salt, starch, wheat, gluten, corn, soy, eggs, shellfish, preservatives, artificial colors, synthetic hormones. The capsules are made with organic milk and organic Swiss colostrum from grass fed cows. No hormones or antibiotics are given to the cows. Bravo Europe has developed a new process to concentrate the beneficial properties of Bravo yogurt. Each bottle contains 30 capsules of Bravo concentrated yogurt. Suggested serving size is 1 capsule per day. 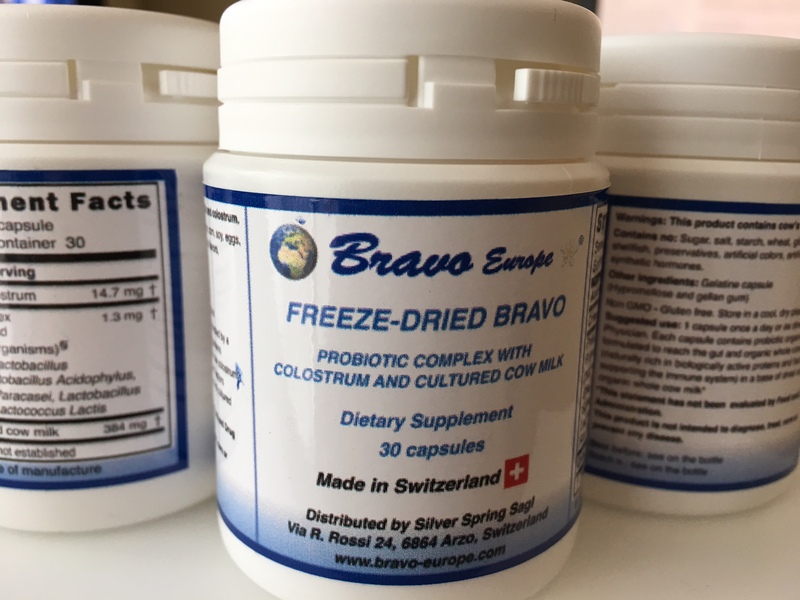 The unique formulation of Bravo derives from the most recent research that demonstrates how much specially fermented milk products and colostrum can be beneficial in maintaining health and how they can be included in a complementary natural nutritional approach. 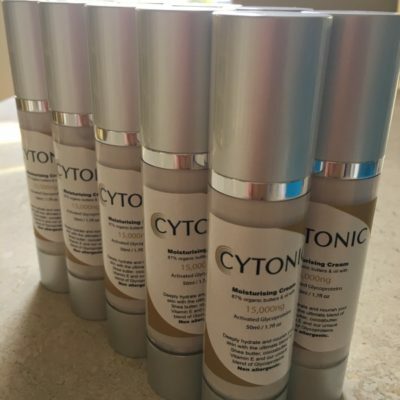 The original blend and the innovative procedure of preparation potentially allow the natural production of several powerful bio-active molecules such as lactoferrins, immunoglobulins, anti-oxidants, vitamins and immunostimulant factors. 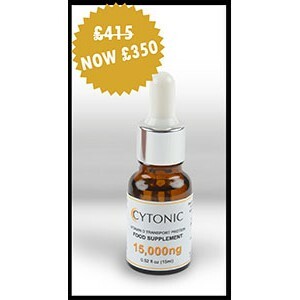 Because this natural supplement activates the immune system, some people experience minor side effects in the first 2 weeks, often referred to as a Herx reaction (after Jarisch-Herxheimer Reaction). You may feel a swelling of lymph nodes, brief headaches, and low energy while the immune system is busy working to support healthy function. You may also experience an allergic reaction that includes diarrhea, constipation and a sensitive tongue. This often a die off of bad bacteria. Simply reduce the amount you are taking and slowly build up the amount. If you are looking for immediate benefits, letting the capsule dissolve in the mouth is the just as powerful as enjoying 1/2 adult dose of Bravo yogurt. Simply open the capsule and swish the Bravo Concentrate in your mouth for 1 minute. This provides the best immediate support for brain function and immune support because it’s unique beneficial ingredients are fully absorbed through the mouth. Once saliva has increased, you can even gargle for 10 seconds. The concentrated Bravo is manufactured as described below from Bravo Europe: The Swiss facility uses the Bravo powders of the standard Bravo yogurt kit to make the yogurt. Then, when the yogurt is well fermented, it is freeze dried in a special process to concentrate the yogurt into a powder ready to use. 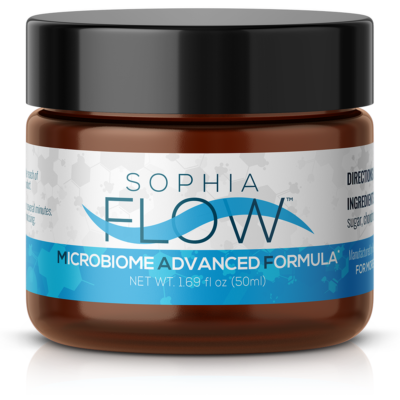 The powder is encapsulated in a gastro-resistant capsule containing 400 mg of concentrated Bravo yogurt. The difference in comparison to the Bravo Yogurt is that Bravo Concentrate is a product ready to use. It does not require any preparation since it has already been prepared by the Swiss facility and put in a form which is easy to manage, whereby the liquid yogurt requires refrigeration and has a shorter expiration time. The Bravo concentrate capsules do not require refrigeration but refrigeration is ideal. 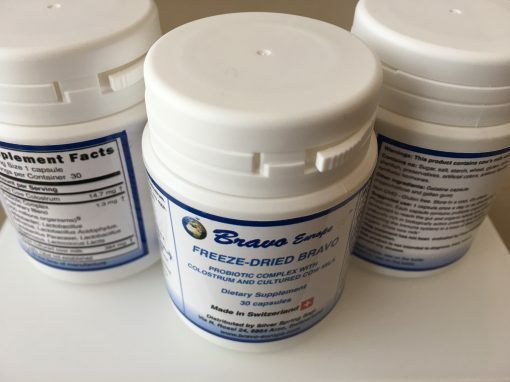 The powders are very stable and can be shipped without any refrigeration. If you would like to know about how the Bravo range of products can be incorporated into a healthy balanced diet, then do book one of our FREE health consultations. The statements and products referred to throughout this site have not been evaluated by the FDA. They are not intended to diagnose, treat, cure or prevent any disease.